Order in 20 Hours 49 minutes 03 seconds for dispatch tomorrow! Stop worrying if you need to pack overtrousers anymore. 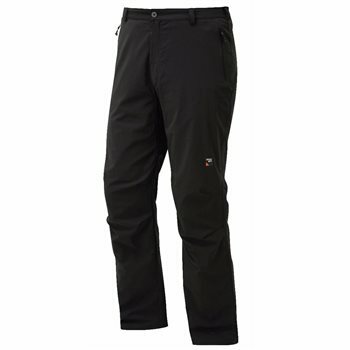 As the name suggests, these pants are designed to be put on first thing and will keep you warm, dry and comfortable all day. They are made in a durable nylon stretch outer which has a DWR finish and lined with a soft Hydro/dry stretch liner. A Sprayway exclusive fabric. Manufactured to exact specification to give maximum performance and comfort with a waterproof rating of at least 5,000mm hydrostatic head. I received a pair of the above from you last Wednesday, just 2 days from ordering. They were put to use on Thursday in windy conditions and proved to be very windproof. On Saturday they coped with very damp conditions at a football match and on Sunday four hours of walking in wet and windy conditions in the Derbyshire peak district. The trousers came through with flying colours, my legs staying dry throughout despite the dripping from my waterproof coat. If they stand the test of time they will prove to be an excellent purchase.